I have just published the WA Las Vegas Conference Video + Pictures here. As I promised in my previous posts, I’m going to share with you some of the key takeaways that I learned myself from the Vegas WA Conference. I already mentioned this in my previous Vegas post. All the super affiliates, Kyle and Carson are just ordinary people. In many discussions with other members we came to a conclusion that literally anyone can succeed online. There are endless opportunities and just by doing the right things over and over again, you’ll start getting results. So often we thing that it's possible for others but not for yourself. I'm 100% convinced that you can do it. You can make a life-changing income online and achieve all your dreams and much, much more. There isn’t only 1 way to make a life-changing income online. There are many ways and you need to choose yours. PPC (Pay-Per-Click marketing) is also a great strategy because it gives faster results. For making sales, you can directly promote products on your website or collect emails and market to your list. Kyle’s step-by-step training focuses on the Google SEO and publishing tons of content to your site. That's great. However, there are also other strategies as you have probably seen in other training modules here and online in general. I think that the key is that you become master at what you are doing and don’t jump from one strategy to another. Stick to 1 proven strategy and make it work. There are many paths to success also in the other sense. Most of the ultra successful people that I personally know, say that conferences the best investments in their lives have been business conferences. Many of those people even say that every $1 they’ve invested in conferences have paid $100 in return. But I heard that Kyle & Carson don’t usually go to conferences at all (despite this WA conference of course but it’s a bit different). I was very surprised because that was the opposite what I had heard from others. Again, there are many paths to succeed. You may have noticed that when you ask for advice, person A suggests you a different strategy than persons B and C.
Somebody said that he asked for advice from Kyle, Jay & Carson for the same issue and they all gave him as different advice. In my own opinion, it’s good to gather information from many reliable sources and make your decision based on that. And then again, stick to that path and make it work. Eventually, you are in charge of your business and you have the responsibility to make things work. There are many great teachers to learn from but you shouldn’t blindly follow just 1. For example, the reason I got to Vegas was that I started focusing on the email marketing. My sales started going up as a result of that. Instead of directing people from my website to WA, I let them sign up to my email list and then from there to WA. Now I got a suggestion from one of the Experts in Vegas that I should send them directly to WA to get more referralrs. However, I was doing it before and it wasn’t working that well. If I would follow that advice, it would most likely backfire. In my opinion it's better for you as an affiliate is better to have your own email list because if some affiliate program collapses, you still have those emails and that’s a huge asset. Again, don't follow just 1 teacher. Gather information and choose the best path for you. Of course at the beginning most of us start by doing all the work by ourselves. We don’t have much capital or knowledge to outsource when we’re getting started. However, once your online business starts generating you a consistent income and you want to take it to the next level a natural path is to start outsourcing tasks. You have only 24 hours in a day and when you sleep 7 of them, you have only 17 hours left. You can't get extremely much done just by yourself. Things may start getting overwhelming at some point. One of the ‘easiest’ and the most natural things for us to outsource is content writing. Let’s say that the value for your working hour is $50-100 and somebody will do the same work for you for $5-20 per hour, that’s a wonderful deal for you. In addition, we have the huge opportunities to outsource work also by using freelancers from third-world countries such as the Philippines and other countries in the SE Asia. There are tons of talented individuals and the cost of living is WAY lower over there. I was living in Vietnam in a hotel for just $400/month including a big breakfast, laundry, cleaning, etc. I have friends in the Philippines who earn $200-300/month and +$500/month for them would be a great salary. Just a few examples to illustrate that you don’t need to pay someone a lot if you want to get the work done. 5.In Order to Succeed BIG, You Must Work A LOT. PERIOD. I have never met a highly successful person who doesn’t work hard. Most ultra successful people love what they’re doing and don’t mind working long hours. We probably don’t need to take it literally but you can still get the message that. If you want to be really successful, you need to work hard and make sacrifixes. If you just want to make a living with affiliate marketing, it can be relatively easy once you get the ball rolling. After you’ve reached some income level, you could basically just work less than 10 hours per week and maintain your income. Or perhaps even less if you’re outsourcing everything to the other people. But in order to get to that point requires work. Also, if you want to become really successful like Kyle or any other highly successful individual, 10 hours per week is not going to be enough in the long run. If you want to become exceptionally good, you need to work very hard for it. Results aren’t going to come by pushing a magic button or with a "4-hour work week mentality". It also depends on your goals. If your goal is to make a living with affiliate marketing, that requires less work than making a fortune. Personally, my goal is to become at least as successful as Kyle & Carson in the future so I definitely need to be working hard. What do you think about these 5 takeaways? Do you agree/disagree? What ideas would you add to these? PS. I will still make 1 Vegas post where I just share you my Vegas video + pictures. If your goal is to make it to Vegas next year, that will help you to visualize things happening for you already. I did indeed smash ye olde Like This button because I did find this post valuable. Nearly broke my my mouse I smashed it so hard. It was nice meeting in Vegas and I hope to see you again someday. I completely agree with the "many paths" statement. If you wanted to you could completely focus on PPC, Youtube, etc, although I think it's probably best to use more than one approach (have a backup or something). Anyways... Peace and keep it up. Thanks for your time and sharing this highly bracing post from Miami about LasVegas conference and amazing ideas from there, Roope. I agree those 5 points. If I want to succeed, I have to work hard. If I want to remain like everything is now, I just do the same that before. We all have our own responsibility about our lives. It is good thing. "No pain, no gain" ;) Do your best, God does the rest. All the best success and everything to you! Another great post with so much valuable information. All this information is so valuable to all of us. We all need to pay attention to the tips and advice you've provided. One interesting tip you've mentioned, getting more than one opinion, I do this in my every day life. I think for one particular person in my life they feel like I don't value their input. That isn't the case at all! In many cases it is just nice to have a variety of opinions and then be able to make your own decisions. In other cases I might look to see if anyone provides the same or similar thoughts and go in that direction. I also love your suggestion of outsourcing. Of course, as you've mentioned we can't all afford to outsource at the beginning but once your business starts making an income then this is a great idea. Mentors are great and yes I agree, it is great to have one mentor but if you can find at least a couple of great trustworthy mentors then go for it. I can't say it enough, "thank you" for all the work you do to help the platform. This was a great post. I think focusing on one strategy is key. I learned that the hard way. You hear all of these working strategies, so you'd think if you combine them all, then you'll achieve success faster, but it doesn't work that way. It's like cooking several food items at once. If you keep adding more pots on the stove, you find yourself running chaotically to prevent them all from burning--similarly with marketing strategies. You can try to watch Pinterest, SEO, PPC, Facebook, Social media ads, live events, and all of these good and working strategies, but when you try to combine them all when you haven't mastered any of them, it can just breed chaos rather than the results you want. You have to focus on one strategy, make it work, then move onto another. I think mentorship works similarly because most of the time mentors will teach different strategies, and each one requires testing to see how it fits for you. Great post, great takeaways and advice. Thanks for the Las Vegas recap and congrats on getting there. There are no shortcuts to success or substitutes for working hard that's for sure. As far as getting conflicting advice I think that there's usually many right answers on how to achieve our goals. We have to pick the one that resonates with us. I have enjoyed your post and my thoughts, for now, are the following. 2) You have to have the Fire, without any passion it won't work and you probably will quit sooner or later. 3) You have to accept setbacks, in your growing business or if it is something going on in your personal life. Sometimes Life just gets into the way. However, if you have the Fire in you and, therefore, the passion, you will always bounce back as I did. To the topic of asking more than one Mentor, I have here two answers, or opinion, if you prefer. When you are a total newbie and have never done anything similar to online marketing, it is the best, at first, to stick with only one Mentor. If you ask the same question to more than one person. trust me, you will get confused and this is not good when you have to find your way around. However, if you have gained some confidence, in time, and you have learned using the "marketing language", as I like to call it, you can listen to more then one opinion and might be able to get the value out of them to your liking. Great post!! And congrats on making it to Vegas! What resonates with me is the “working hard” part. Most people see the success that people are having online and are searching for the lifestyle of the successful but don’t really take into account the countless hours that were put in to get them there. They just see an easy button and when in 30,60, maybe 90 days they aren’t raking in the dough get discouraged and give up. I am new here but going through the boot camp and can’t give enough thanks to each and every one of you for the willingness to help and motivate. It’s turkey amazing to be A part of such A great community! Thank you for the great blog post-Robert, great advice too, I can relate to every single one of your points. I believe that anyone can make money online potentially, but you do have to put the work effort in, otherwise, it will be a long struggle. There are many different ways to make money online and we can choose the way that works for us, affiliate marketing is definitely a very good way to start. I find it so important to be around the right people, as you mentioned Robert, someone spoke to Kyle, Carson and Jay and received different answers. I believe this is absolutely fine as they are all people with huge amounts of knowledge, but have their own unique take on a particular subject. So if we bring all these ideas together we can come out with something really great. Outsourcing is a great idea, something that I need to be doing more of, I believe that it takes time to find the right people but once you have found them it could be absolutely fantastic. I believe that with Internet marketing, consistency is the key, trying to do something every day or at least five days a week. I don't think I really have anything particularly to add Robert, you have summed up everything in one blog post. Thank very much Roope! Points 1,2 and 5 hit home for me. A point I try to keep reminding myself is "Keep Going" no matter where I'm at or whether I think I'm not progressing fast enough or not committing enough time etc... - the answer is to keep going. We have been doing as you suggest and see what the Super Affiliates like yourself and Grace do, learn and then decide what works best for us. There are also so many other great members here who have experience and so generously share what they know. We are still very much on a vertical learning curve but we are undaunted and very committed. We are working full-time on this. All your points are valid and we will continue to do our research, pick a strategy that works best for us, and move forward. Anyone can truly succeed. The solution is, as it has always been, through hard work and the ability to adapt, change, learn and improve. Yes, you'll definitely make it especially when you're working full time to make things work out. Yes, all,of us can succeed, yes, the mind set and the work ethic is paramount, yes, there are obviously lots of avenues and we need more than one mentor, perhaps, but perhaps the baby steps for me at the moment. Don't listen to just 1 mentor is a big one for me. There are 3 people I try to follow as much as possible here and take their advice and you're one of them. 2 of the others have also made it to Vegas, but I'm sure all 3 of you have used slightly different methods to be successful and make it to the Vegas conference. I definitely need to work hard and make sure my mentality focuses on the belief that I can succeed here at WA especially promoting Wealthy Affiliate which is what I'm doing with my second website. So many people say that the MMO niche is too competitive, that you'll never earn enough income in it, especially promoting WA, to make a full time income from it. Yet you and the 2 others I follow closely have proven that you CAN succeed at it and make a full time income from it and are determined to make it even better. If you 3 (as well as the others that made the conference) can do it, well then by golly I can do it too! This is GREAT, Roope! I wrote a post on Thursday about strategies that somewhat reflects this. I would love to share it with you: Developing Your Own Strategic Mindset I love to think in my own element with some advice from super go-getters.---When I know it has been done before and can be accomplished, I go for it! I also do email marketing with my MMO Guide and Online Training Book. I have a whole 7-day email Online Training Series set up that coincides with the reading material. After reading them and taking the email course, it walks them through signing up and upgrading. I write up to 5,000 and more sometimes each day, too. Love your enthusiasm in this post! Congrats on all your accomplishments and all you learned in Vegas! Thanks! I felt several things reading this. As I know virtually anyone can make a good living online. Because I know my ability and adapt at learning, and because of WA I know so much more than I used to in reference to being an affiliate. This article spoke directly to me and made me reach deep into my bucket of sacrifices, and realized I haven't been making as many sacrifices as I could. 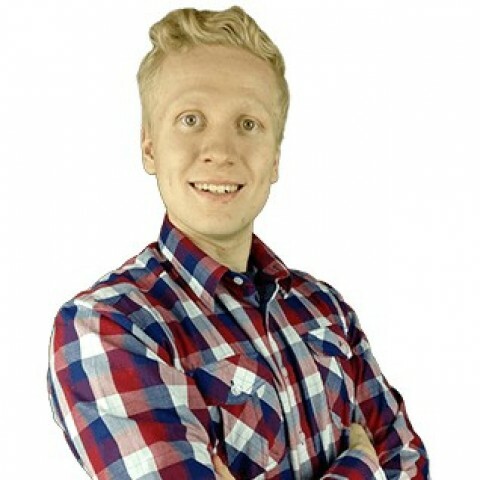 I am keen to learn everything that you have written Roope, because I have no idea what I am doing most of the time, but I know that if I keep chugging along, I will be just as successful as everyone else...I promise that to "me" to make it :) Thank you for your time to share with the rest of us. Clarifying that there are many paths to success definitely helps me where I am right now. I always thought I had to do all of those strategies you mentioned in order to start seeing some $$$. What are the advantages/disdavantages of writing "shorter posts" versus very long (+5,000-10,000 words)? Honestly, i get bored in reading very long post, so I typically keep my post short (under 1000 words). Thanks Roope! Looks like i really have to create longer posts moving forward..
Nice article. Personally, items 4 and 5 are the areas I am looking into at the moment. I just need to get that income flow going to be able to reduce number 5 and increase number 4. I can appreciate item 3. I might rephrase it a little to state, "Don’t Get Advice from 1 Mentor Only". Always listen to advice. Advice based on first hand experience is extremely valuable. But make a final decision based on that advice that fits your situation best. Because everyone's skill set, goals and personal situation are different. And do not worry about offending anyone because you didn't take their advice. If that is the case, perhaps evaluating the possibility of replacing that mentor is a necessary task. I enjoy your articles very much. They keep me inspired and active. Enjoy the rest of your travels. Let me know if you ever come through Bangkok. No, I have not heard of him. Maybe I will try and check out his information online. thanks for your awesome pieces of advice. And I know that this advice comes from all of you guys that were in Vegas this week. It takes courage to believe that everybody can be successful if we are willing to work really hard, but it gives me hope that eventually the hundreds of hours that I have worked on my business and learned here at WA will soon start to pay off. Love to read your posts. Currently working one making a living from affiliate marketing. And then, forward to the next step - making a fortune. A very valuable takeaway for me too, Roope! Thank you! Yes, for the start, it always requires a lot of time and effort. It's not only about working smart but it is how hard we work it up to become very successful. I also agree that we need to seek more than one advisers/teachers. I agree with all 5 things that you have said. For me, #5 is resonating the most with me at the moment. I've decided to become even more determined and to work even harder than I had been the last two years. I can already see my efforts paying off. I went to a trade show, which was sort of like a conference last weekend. I found it very helpful in many ways. So, I also liked your suggestion about conferences. Thanks for sharing the things you walked away with. Enjoy your weekend. Sounds interesting! Yeah, conferences have been definitely extremely valuable to me and I'm investing more money into them. Thanks again for another helpful post and I am becoming your fan. I consider you as one of my mentor. Thank you so much Paul, I appreciate it! Great information mate! Hope you had a great time and would like to see you in Vegas within the next year or two. I couldn't agree more. Finding the path that speaks to you is crucial to your success. If you know the process works and it's proven, it'll take time and work. I view online businesses as a big flywheel. At first, you'll have to put in work, effort and long hours to get the flywheel moving, after it runs you'll naturally start to pick up speed and leverage as the flywheel keeps spinning. All excellent takeways Roope. It's always best to learn from many sources and to assimilate all information, and make your own informed decision based on your own goals, skills, and desires in life. Delegating (outsourcing) is very important, and the only way yto scale. Yeah, delegating is something that I'd also still need to learn more but it will be vitally important for the long term success. Great post! Thank you for sharing with us your takeaway from Vegas!! All very good points! Thank you. Marked as top. I fully agree with you that hard work is key if you want to achieve success online -- and also that there is no one right way to go about doing something. Simply find what you like / want to do -- then stick with it until you are successful. Yeah, doing what you love is also very important. I always remember it from one of the Steve Jobs' interviews. Another great post Roope. Thanks! I agree that it is probably best to become a master of one strategy rather than spreading your efforts between many different paths. If you are doing well with one then keep at it until you are doing great with it! That is the same advice I see for social media. Some recommend just sticking with one and getting really good at it. Of course there is the downside of putting all your eggs in one basket as you addressed before! So, I am not sure if I would stick with just ONE strategy or social media platform but I would focus primarily on one with one or two on the side. I would not divide my time equally in three or five different directions. Yes, hard work is unavoidable which is why most people fail. They are not willing to put in the years it takes to be really successful. I also agree that we should not follow just one mentor. There are so many things to learn here that we can gain a lot by being open minded. I can see that outsourcing will eventually become necessary and you gave a really comforting example that you can get good quality work for a lower price than we might expect. How much do you outsource? Currently, I just outsource the content writing on my blog (almost all of that).